On 2 - 4 May 2017 the Third Joint Ministerial Conference of the Paris and Tokyo MoU on Port State Control was held in Vancouver, Canada. 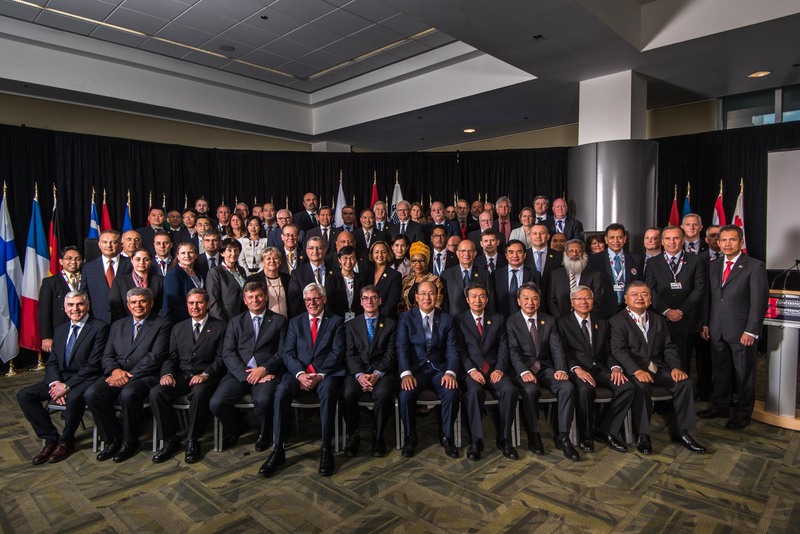 Upon the invitation of the Government of Canada more than 45 Ministers, Heads of Delegation, Chairmen and other representatives from 27 European and 23 Asia-Pacific countries came together to discuss the initiatives on eliminating sub-standard shipping in regions that are bound by the two memoranda. The theme of the conference was “Safeguarding Responsible and Sustainable Shipping”. The 2017 conference will build on the success of the Second Joint Ministerial Conference, which was held in November 2004. The purpose of the conference was to have a third Ministerial Declaration signed by representatives of the MOU member countries. This declaration will reconfirm the commitment to eliminating sub-standard shipping around the world. It will also serve as a framework for new global policies and programs to facilitate these efforts. The signed declaration can be found below.